The process of colouring your walls is usually a hectic process that involves taken a leap of faith in how chosen colours will look like when applied to actual walls. Will the colours match everything inside the house? 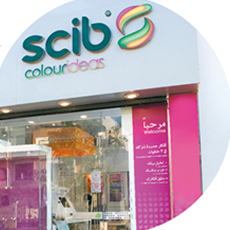 This troublesome journey was efficiently eliminated with Scib Paints introduction of the Colour Ideas shop. Welcome aboard. We will provide you with the expertise and tools on how to match everything inside your house with your walls and making sure that your walls speak your creativity and taste. 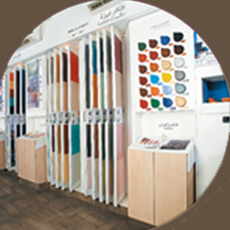 Scib colour consultant will provide a free service by using the visualizer software to test choices filled in the starters kit under different lighting colours, different rooms and settings. Finally, customers will have a full definitive picture of what they want and all that is left is to make it happen. Get the final advice from your consultant on the short-listed preferences you have chosen. 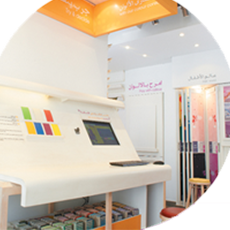 Now, you will know the types of products you need, the different sheen levels, quantities and colour codes. You will also have a calculator application to calculate the quantities you need.